You have been given a long document to edit. You are in distress because editing such a long document would involve typing out the whole document and then editing it. In such scenarios, converting the JPG file into a Word file would be immensely helpful. But how to do it? In this article, we will talk about the various methods you can use to convert your Image files to Word files. 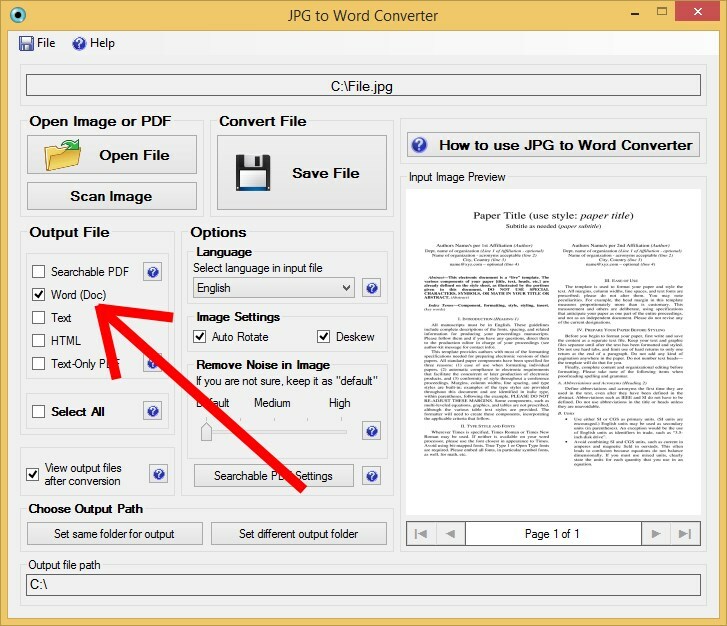 The conversion of JPG Files to Word Files is easy, provided you have the corresponding know-how. There are several ways to complete this task. You can go online and use an online converter or you can download a converter and use it whenever required. 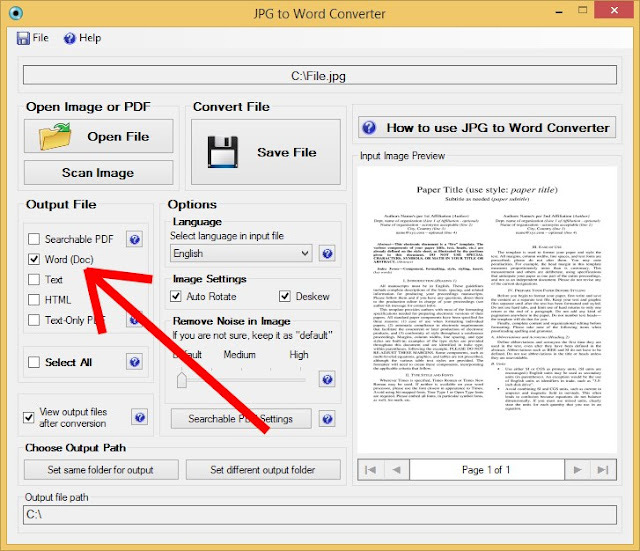 To convert your JPG Files into Word Files, go online and visit www.onlineocr.net. 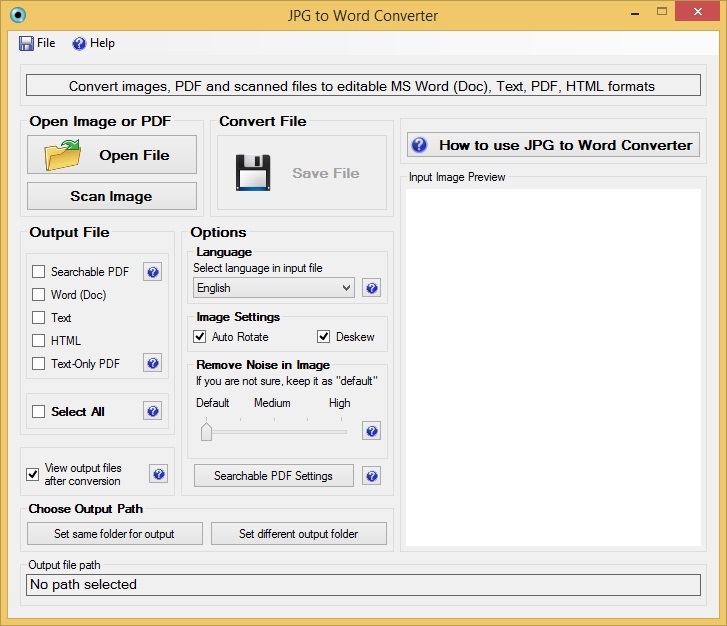 The website offers a free converter that you can use to convert you JPG Files into Word Files. The other method that you can use to convert files is by downloading a converter. These downloaded converters have the advantage that they do not require an internet connection to convert the files. You simply have to download and use them. There are a lot of them available in the market. Here, we discuss about one such converter. There are a few things you should know before converting the files. Never try to change the extension of the file by yourself. For example, never change the .JPG format to .doc by simply renaming the file. The dynamics of the file will be altered and you will end up losing your data. So never ever try to convert files by changing their extension. Always use a converter to do so. As I said earlier, there are many offline converters available but we have chosen one to avoid confusion. 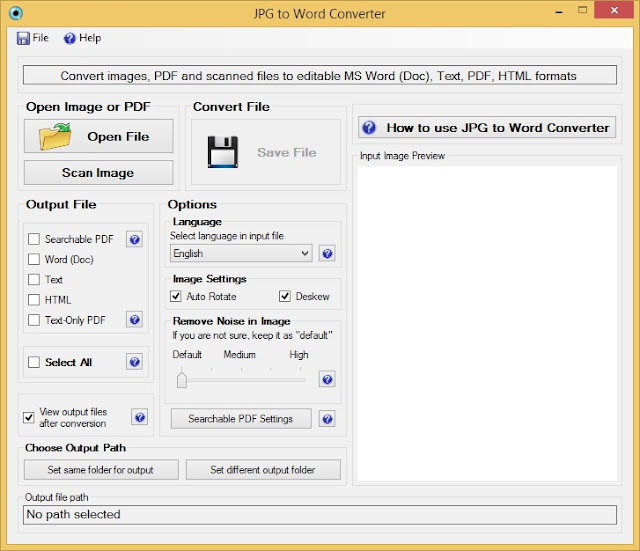 The software is JPG to Word Converter. Finally, to wrap things up, click on the save icon in the software. That will save you file in the desired output format. You can add a password to your output file using the software. Adding a password prevents unauthorized access to your file. You can also add a watermark to your output file to prevent illegal usage of your file.